Russian Aerospace Forces will continue backing the Syrian Arab Army until terrorist organizations are eradicated, the Russian Foreign Ministry said in statement on Thursday. 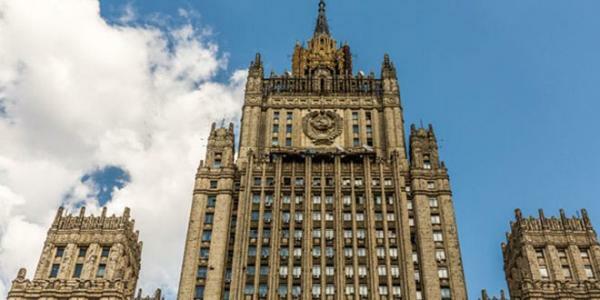 “ We strongly support Syria’s sovereignty and territorial integrity,” the Russian Foreign Ministry added, pointing out to the need for the International community to contribute to fighting terrorism and not allowing the double standards practices the attempts to classify terrorists into good and bad and put them in the service of geopolitical interests. The statement added that, during Astana meeting which will be held tomorrow, new steps could be adopted in a way that would serve de-escalation of tension in Syria and provide the necessary conditions for the Syrians to adopt and implement the political process for a permanent settlement of the crisis in Syria on the basis of the UN Security Council Resolution 2254 with taking into account the decisions taken by the Syrian National Dialogue Congress which was held in the Russian city of Sochi.